Last week, I got a few minutes to chat with Jon Jashni, the President and Chief Creative Officer of Legendary Entertainment and producer of Pacific Rim, The Dark Knight, the Hangover films and next year’s Godzilla, amongst others. Being a producer, he was never going to engage me in my usual schtick – all that stuff about mise en scene and editing – so I had to change up my lines of enquiry. Here’s what followed, beginning with his comments on Legendary’s current release, Pacific Rim, and the freedom they afforded to director Guillermo Del Toro. Things work well with Guillermo because we talk all day every day and he doesn’t have to wonder what we really mean because we say what we mean and we mean what we say. We talk about everything. Thomas Tull and I were producers on this movie with Guillermo, and from the very first time that Travis Beacham came and pitched us the story, we were involved in every decision and every moment of the creation of this movie. We also have similar passions and interests creatively, so we get excited about a lot of the same things. So Thomas and Guillermo and I had a great relationship on Pacific Rim, we hope to make the same thing happen when we make every movie. 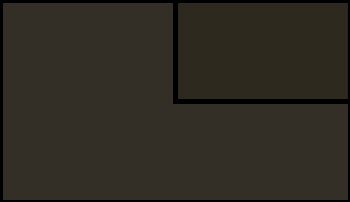 Thomas founded the company and is chairman and CEO of the company. I’m president and key creative officer of the company. I’m charged with managing the development and production of our content at the company. We’ve just started a television division and Bruce Rosenblum will be managing the television side. But Thomas and I have been working together now for almost 8 years, and he relies upon me, and I hope to have him feel that I do keep things running in the right way and that we’re able to put together these projects in a way that allows Legendary to grow and evolve and live to our mandate, and our ambition for the company. Our general feeling is that if people are interested in what you’re doing, that must be a good thing. As the company has evolved, we’ve become more self-determining, developing our own projects, having us not just partner with studios on projects that they would otherwise be looking to make, but developing our own home grown projects that then feed into our studio-partner relationship. That’s going to draw some interest to us. We have very high standards and we know that this puts us in a position to be successful more often. We are more likely to be successful by allying with world class, distinctive creators who are going to make us look good by association. And who are going to take the content we’re developing and elevate it through their translation of it to film. This is when I asked Jon which filmmakers in particular he’d like to get involved with. We want to work with Rian Johnson, and Neill Blomkamp. The great thing about our jobs is that we have ongoing conversations with artists on an ongoing basis. We do know them, but we hope to get to know them even better. We’re source agnostic in terms of whether a film might come from a video game, a newspaper article, or an original idea. We don’t mind where something comes from. We’re also seeking to be at he vanguard of seeing how to feed these properties in different mediums. If it doesn’t make sense for it to be a film first, could a comic book better serve it? If it’s better served as being a TV series first… well, we are just starting a new TV division as you know. Thomas and I often say that we want to make films that we want to see, and in certain ways we are our own consumer – which we hope is a good thing. And this allows us to gravitate to those things that, hopefully, are going to work in the marketplace more often than not. Obviously, creators sense when there is an organic love for the films. Hopefully we’re able to attract like-minded people to us who love the same things and feel like this is the right home for them to make their projects in concert with us. It’s certainly going pretty well so far. 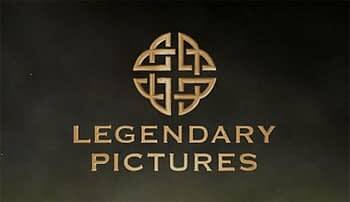 You will most likely have read about Legendary’s new deal with Universal Pictures and some wild speculation about what this will mean. I’ll be reporting back from Comic-Con on Legendary’s upcoming Godzilla movie and, if rumours are to be believed, they have another little surprised lined up too. Watch this space.